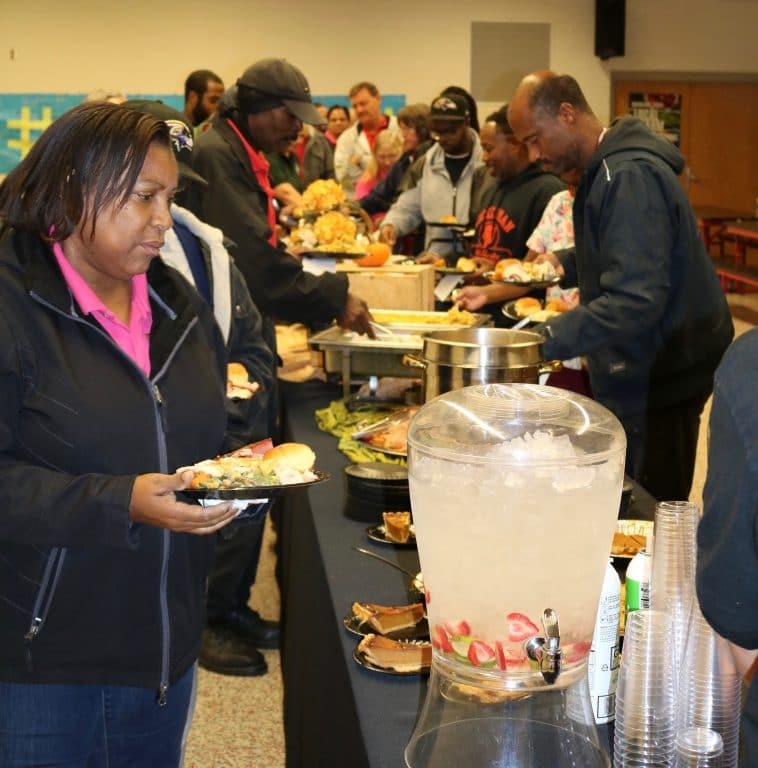 The Annual Custodian and Maintenance Workers Luncheon was held on October 19 at Colonel Richardson High School. Employees received training on school safety, followed by a buffet lunch. Supervisor of Plant Operations Brett Morton shared that the event is an opportunity to give recognition for a job well done. He mentioned Caroline’s history of receiving superior ratings on maintenance evaluations by the state and insurance carrier. He applauded the fact that Caroline is one of only five school systems in Maryland that had schools receiving a perfect rating on one particular evaluation. “Obviously that kind of result in a state with 24 districts means that it’s not about how much money a district has – it’s about our people,” Brett stated.